A large scale dataset containing YouTube User Generated Content intended for video compression and quality assessment research. 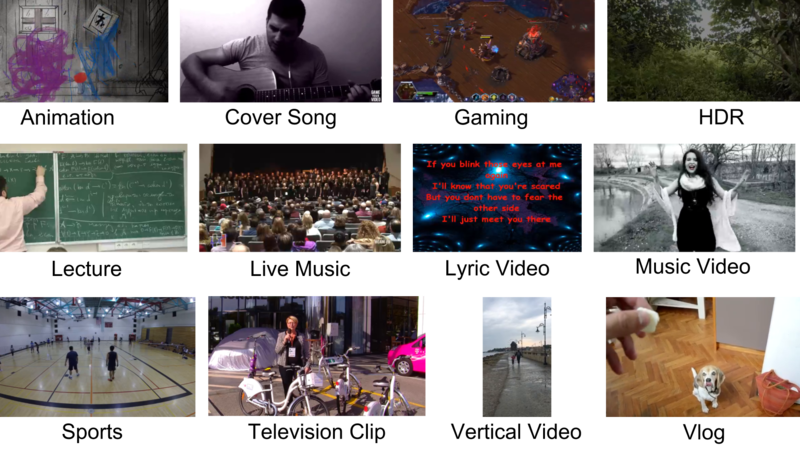 This YouTube dataset is a sampling from thousands of User Generated Content (UGC) as uploaded to YouTube distributed under the Creative Commons license. This dataset was created in order to assist in the advancement of video compression and quality assessment research of UGC videos. UGC videos are uploaded by users and creators. These videos are not always professionally curated and often suffer from perceptual artifacts. 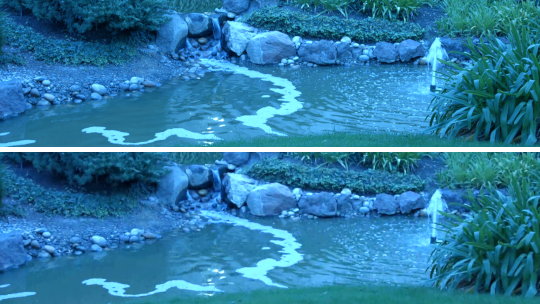 For the purpose of this dataset, we've selected original videos with specific and sometimes substantial perceptual quality issues, like blockiness, blur, banding, noise, jerkiness, and so on. A common assumption of much video quality and compression research is that the original video is pristine (as in the top frame), and any operation on the original (processing, compression, etc) makes it worse. Most research measures how good the resulting video is by comparing it to the original. However, such an assumption breaks down in practice as most upoads are not usually pristine (as in the bottom frame). 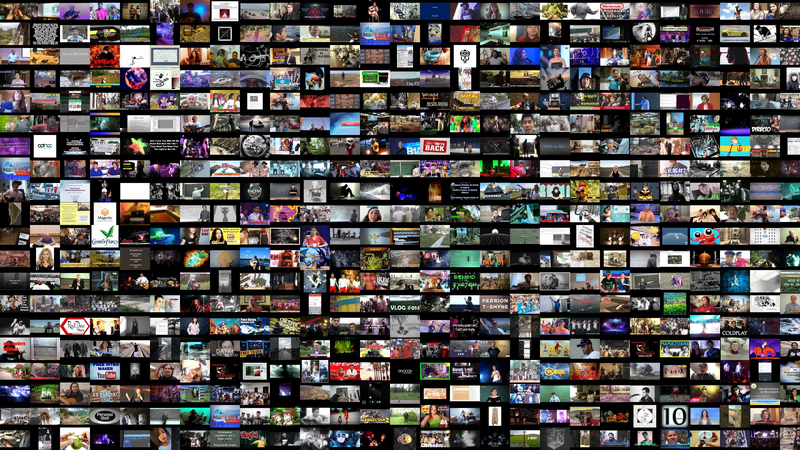 Around 1500 video clips with a duration of 20 seconds each. 4K for HDR, Gaming, Sports, Vertical Video, Vlog, and VR genres. Three no-reference quality scores are provided at this time. 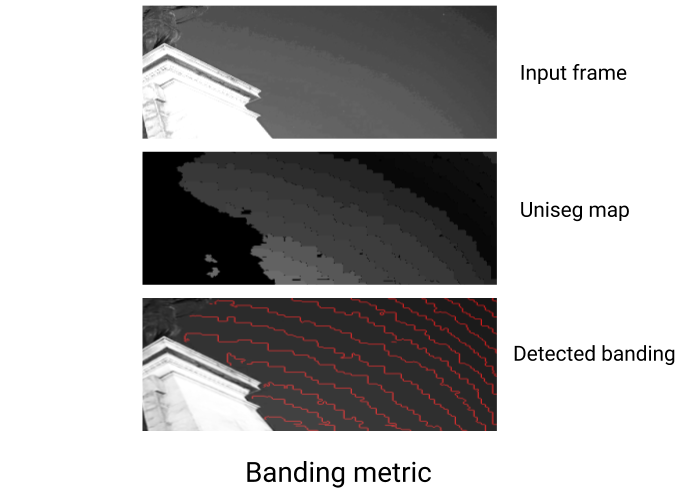 A measure of spatially correlated noise in the videos. These are typically observed in low light scenarios. The metric is defined in A perceptual quality metric for videos distorted by spatially correlated noise", by Chao Chen et. al., published in ACM Multimedia, 2016. A measure of luminance or color quantization in a video often observed as perceptual bands. 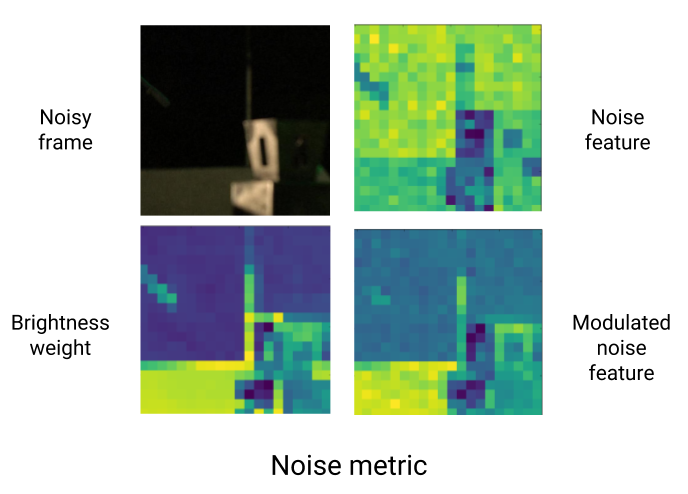 It is detailed in "A perceptual visibility metric for banding artifacts", by Yilin Wang et. al., published in IEEE ICIP, 2016. 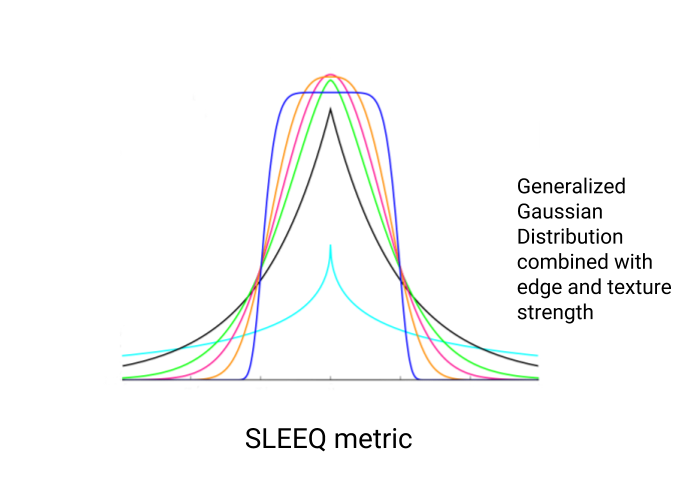 An objective measure based on the natural scene statistics of a video. SLEEQ stands for Self-reference based LEarning-free Evaluator of Quality. It is defined in "A no-reference video quality predictor for compression and scaling artifacts", by Deepti Ghadiyaram et. al., published in IEEE ICIP, 2017. This YouTube dataset will be updated monthly. Users are responsible for refreshing their copy, and deleting clips that have been removed from the latest version. This dataset currently contains about 1500 (pre-YouTube transcoded) video clips. The length of each video is around 20 seconds. All videos are in RAW YUV 4:2:0 format, with no audio stream. The container is Matroska. The total size is 2 TB. We suggest using gsutil if trying to download the clips. The videos are shared under Creative Commons CC BY license. We thank our creators who uploaded the videos under this license. The list of attributions for all the shared videos in this dataset can be downloaded from the link below. We are the YouTube Media Algorithms team, working on video/audio transcoding, video/audio quality assessment, and media processing infrastructure. We created this dataset in order to encourage and facilitate research that considers the practical and realistic requirements of video processing infrastructure in regards to video compression and quality assessment.